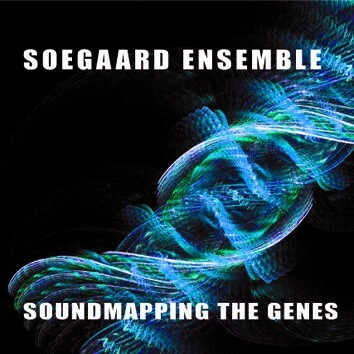 Soundmapping the Genes is an outstanding, research-based artistic project, using DNA code-sequence structures in music. The complete code-sequence of the H1 histonin protein of the rainbow trout is translated into MIDI language and can be used simply as a melody — consisting of 642 notes — or as information, running electronic music parameters in real-time live music settings. The three electronic wizards are Fredrik Soegaard on guitars, MIDIgenemap, TC FireworX, Claus Gahrn on laptop, MIDIgenemap and Henrik Strandfelt on gongs, gamelan, cymbals, mbiras, electronics.